Vinidh Paleri, et. 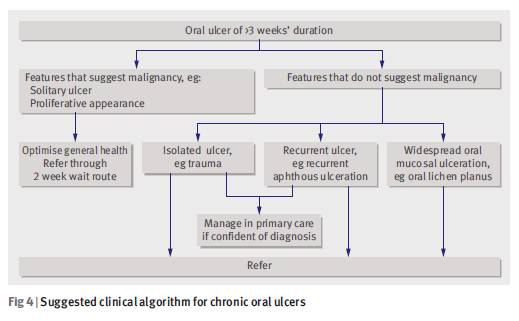 al: Evaluation of oral ulceration in primary care. BMJ 2010, 340: 1234-1238. A Clinical Index to Define Risk of Asthma in Young Children with Recurrent Wheezing, Am J Respir Crit Care Med Vol 162. pp 1403-1406, 2000.